Kvednafossen is located on the west bank of the Saudafjorden along road 520 Sauda. The waterfall lies in the Hamlet Hustveit and is part of a mill at the Jonegarden farm. 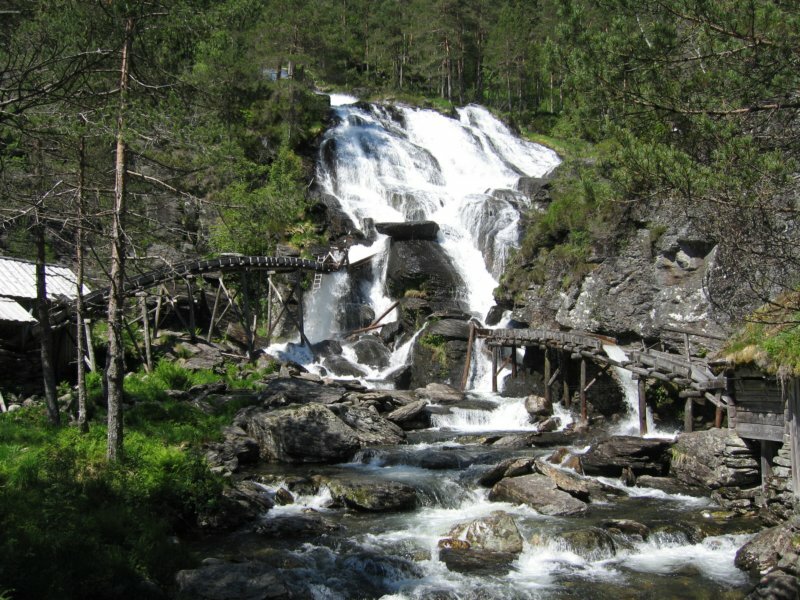 You can reach the waterfall from Hustveit over a signed trail within half an hour. The farm itself is from the 17th century. At the waterfall, there are still old devices used long ago but these are no longer operated. On sunday it is possible to get a guided tour.